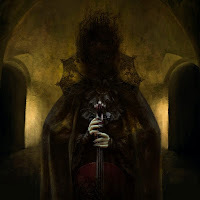 Δελτίο τύπου: «Neo-classical instrumental metal band Alchemy Chamber are proud to present their debut full-length album. Led by Anna Kuchkova (cello and composition), along with Kevin Arland (saxophone), the music of Alchemy Chamber is an eclectic mix of genres, featuring captivating melodies intertwined with complex rhythms in a purely instrumental arrangement. The unique sound of the band, that combines heavy riffs and expressive contrapuntal melodic lines, is influenced by classical composers as well as metal bands of various genres. The songs have numbers instead of names, and the album is referred to as an "Opus" to reflect the classical side and influences of the music. The order truly is chronological, which means the songs on the album appear in the order they were written. Composition No. 1 is dedicated to Doug Gorkoff who has been Anna's cello teacher for the last 10 years and played a significant role in her becoming the musician she is today. Album: "Opus I: Subtle Movements from Within"
HEAVY METAL THUNDER 28 Νοεμβρίου 2018 - 2:26 μ.μ. Τρομερά εμπνευσμένοι τίτλοι τραγουδιών! Α χα χα χα. BALADEUR 1 Δεκεμβρίου 2018 - 4:24 μ.μ.